Digital Printing Solutions to offer more than just digital printing presses at exhibition. 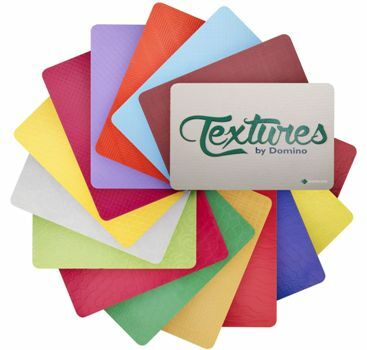 Textures by Domino samplesDomino, a company which develops and manufactures digital ink jet printing technologies, will once again focus on providing complete solutions on Stand No 5A23 at drupa 2016 (Messe Düsseldorf, 31 May - 10 June). Philip Easton, Director of Domino's Digital Printing Solutions Division, explained the company’s strategy for the event. "We will continue to focus on delivering solutions to meet different customer requirements rather than just offering the digital printing press. This is the best way to provide our customers with real added value - our latest innovations start with job creation and workflow, through to printing and final product finishing." Domino has cemented a new key partnership with the digital finishing specialist, IBIS Bindery Systems. From white paper rolls in, the Domino K630i monochrome digital press will print in-line with the IBIS digital saddle-stitcher at web speeds of up to 150 metres/min, producing up to 7,000 book blocks or booklets per hour, with a constantly varying number of pages. Kern AG will be providing the unwinder, buffer and the rotary cutter for this line. The integrated solution is designed to minimise manning requirements and material waste, in addition to facilitating both high production output and rapid job change. "I am delighted to be working with both the IBIS and Kern teams at drupa," said Easton. "This will be Domino's first of two planned product offerings for the book printing market." "We have partnered with Gremser, who will provide a range of high performance sheet-fed handling solutions that complement our modular width K600i printer. With over two hundred K600i installations, this newly launched wider B2 version enables our customers to more cost effectively produce variable data solutions in conjunction with their current off-set presses." Domino K600i + Gremser B2 sheet fed solutionFinally, Domino will be displaying the N610i seven colour ink jet digital label press. This will operate at up to 75m/min using high impact UV-curable inks. 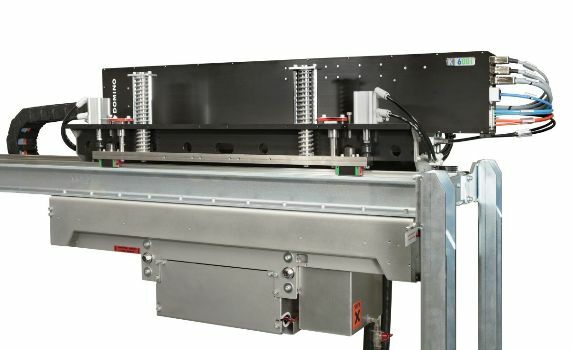 Domino markets this digital label press as a machine capable of achieving the highest productivity operating either reel-to-reel or reel to finished label. Besides the Domino screen-like opaque white, the seven colour solution including orange and violet will allow 90 per cent of the pantone range to be printed. "We continue to show how ink jet can innovate and add value, Easton added. “In addition to our screen-like white printing, we will be demonstrating unparalleled levels of creativity including our latest 'Textures by Domino' print solution showing the digital creation of three dimensional textured images. 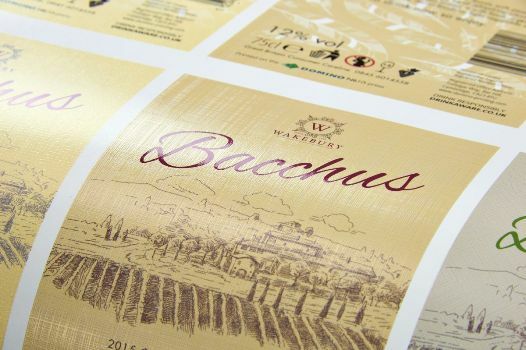 This adds another dimension to digital printing. It is no longer just about efficiently producing short and medium length production runs; it is also enabling our customers to offer innovative added-value design capability."